This is my build-up of the Polar Lights Spindrift kit from the classic tv series "Land of The Giants", in approx. 1/60th scale, based on the classic Aurora kit. 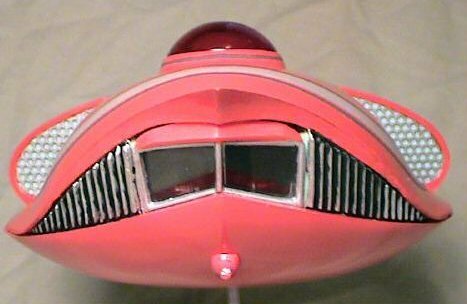 This is one of Irwin Allen's best spaceship designs, and a fan favorite. 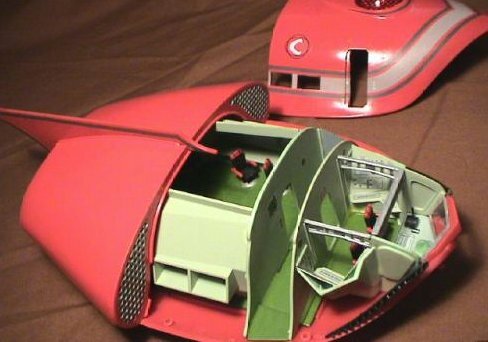 I am a model builder with 30 years experience, and have researched the Spindrift studio model to make this model as accurate as possible. I have airbrushed the exterior the correct red color, and filled in the incorrect molded in stripes. I have used accurate decals from JT Graphics for the exterior markings. 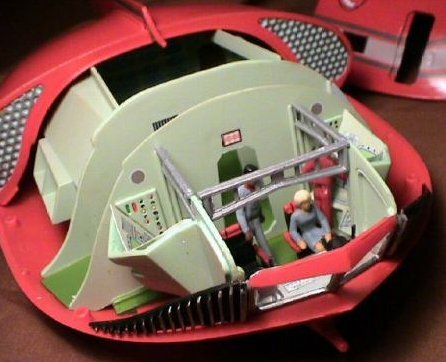 I have tinted the supplied clear dome piece red, and placed a "sensor grid" decal inside it, to match the studio model. 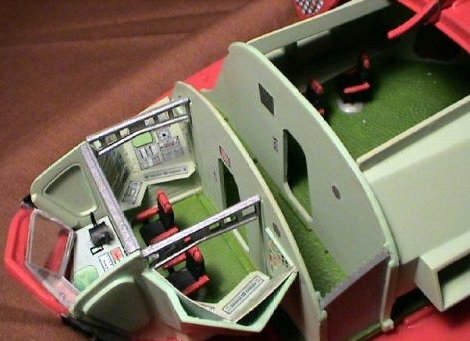 The top of the model is removable to reveal the fully painted and detailed interior. I have removed the inaccurate molded details on the interior walls and replaced them with accurate decals. 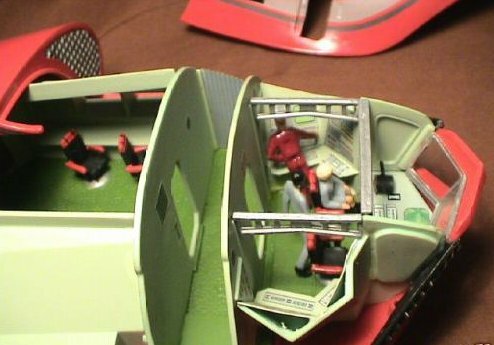 The cockpit walls have been modified to resemble the studio set, and accurate decals have beed used for all cockpit controls. 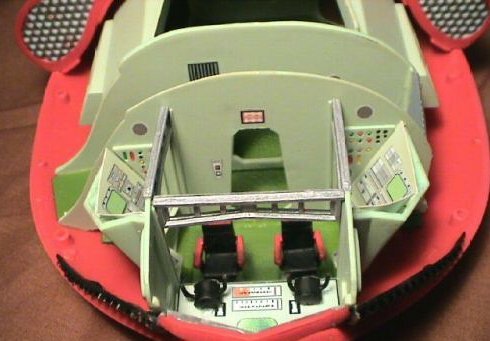 I scratch-built the missing pilot and co-pilot control pods on the main console. You also get fully painted figures for Captain Steve Burton, Co-pilot Dan Erikson, and Stewardess Betty Hamilton. A clear plastic "in flight" display stand is also included. Many hours went into the construction of this model, one of the most accurate Spindrift build-ups possible. Fan built diorama from Austin Texas.